It’s easy to be one. In my opinion, cookies – and in my case, low carb cookies – are just irresistible. Firstly, they are easy to make. They’re a lot less daunting than a cake, for example. Secondly, they are portable and keep well. Then, they look all cute and petite. And last but not least, they go well with coffee! I am a serial cookie baker. A couple of highlights I have shared recently include my low carb peanut butter cookies and these low carb coconut shortbread cookies. 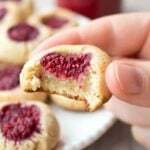 This recipe for raspberry thumbprint cookies is a new arrival in the low carb cookies hall of fame. Seriously, someone should roll out a red carpet! I am always amazed at how you can achieve a new taste and texture by changing just a small detail in a recipe. 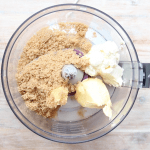 To make basic low carb cookies, you need nut flour, butter, egg and a natural sweetener such as stevia or erythritol. This time, I decided to add cream cheese for a “fresher” taste. 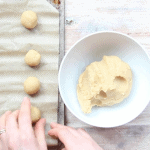 I made these thumbprint cookies in 3 different ways before I arrived at the PERFECT recipe. I baked one batch with no filling at all. For the purists among you, this is a great pared-down version that ends up deliciously crunchy. Just be patient and wait until they have cooled down. 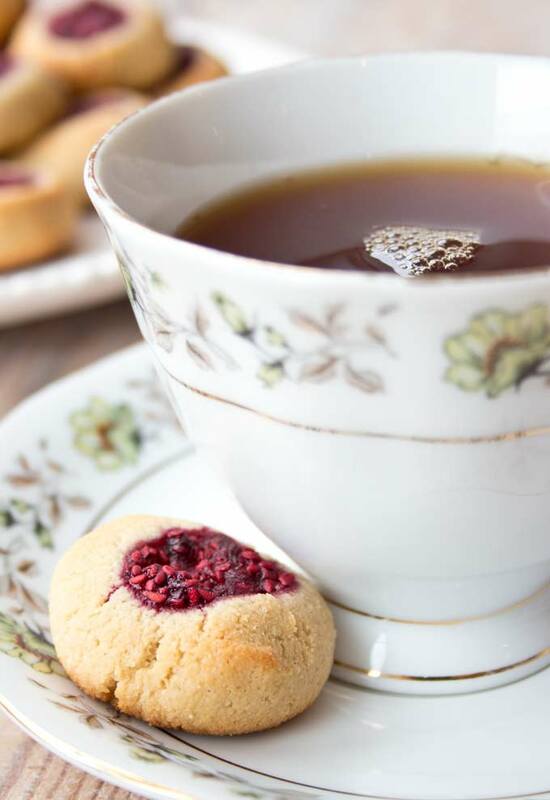 Low carb cookies contain grain free flours such as almond and coconut flour and these tend to be crumbly when hot due to their lack of gluten. Next, I decided to mix things up a bit and made my thumbprint cookies with two different fillings: a mix of melted butter, cinnamon and sweetener for one half of the batch and a cream cheese filling with cream cheese, cinnamon and sweetener for the other. 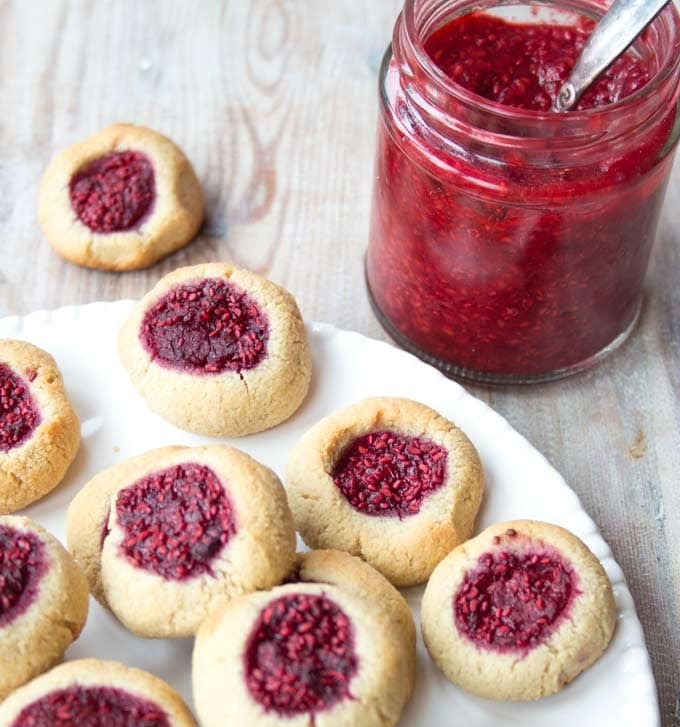 For my next cookie batch, I dropped a dollop of easy no-cook sugar free raspberry jam into each thumbprint. This time they were PERFECT! If you don’t happen to have a jar with raspberry jam in the fridge, you could simply mash a handful of raspberries with a touch of sweetener and a sprinkle of chia of xanthan gum and use that instead. Alternatively, any shop-bought sugar free jam would work. Just make sure it is sweetened with stevia or erythritol and NOT with concentrated grape juice – brands tend to conveniently label products as “sugar free” even though they still contain sugar from other sources. Always check the ingredients and the nutrition label! The sugars in a truly sugar free jam should only be derived from the fruit itself. 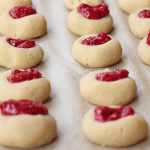 I really hope you’ll love these raspberry thumbprint cookies as much as we did. 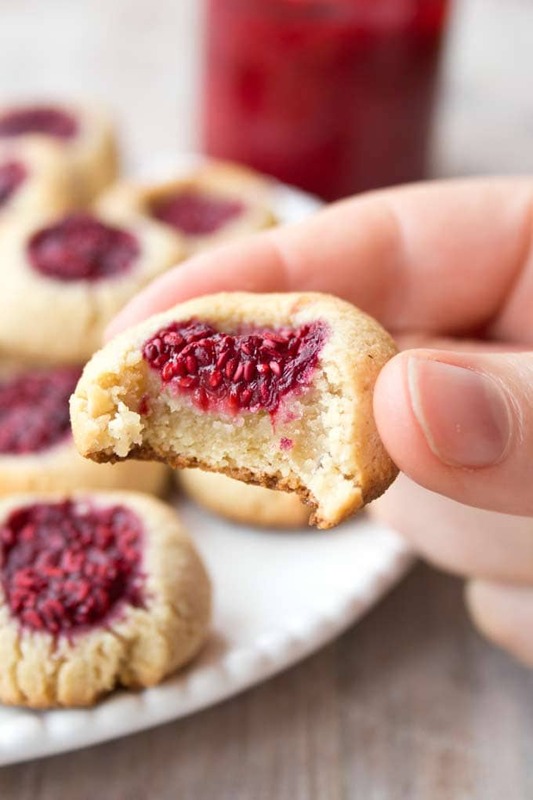 As you can see in the picture where I’ve taken a bite, the outside of the cookie is browned and crunchy, but the inside below the raspberry filling remains soft and tastes a bit like marzipan. The tartness of the raspberries is the perfect counterpart for the subtle sweetness of the base. Heat your oven to 180 Celsius / 356 Fahrenheit. 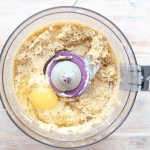 Mix the cream cheese, softened butter, vanilla extract and erythritol in a food processor or with a hand blender until smooth. If your dough feels too soft to handle, simply form a ball, wrap it in clingfilm and cool it in the fridge for 20 minutes (or in the freezer for 10). 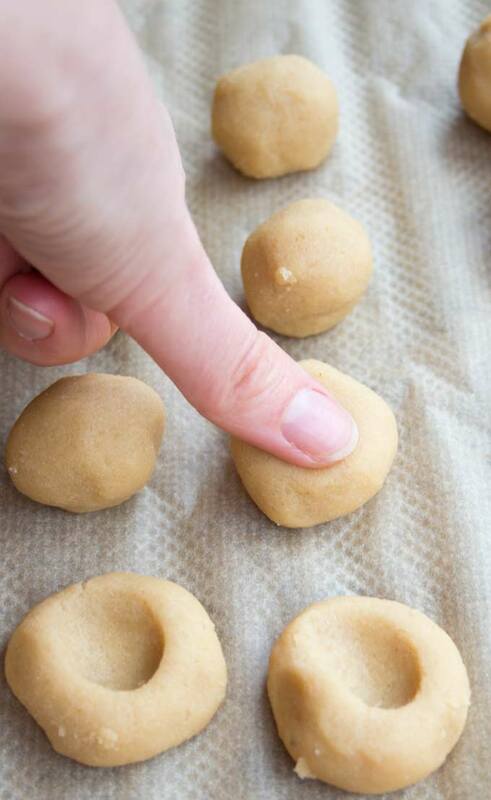 Form small balls in your hands and place on a baking sheet lined with baking paper. Press your thumb into the middle of each ball to form an indentation. The cookies are VERY SOFT when they come out of the oven. Let them cool down completely and they will firm up. 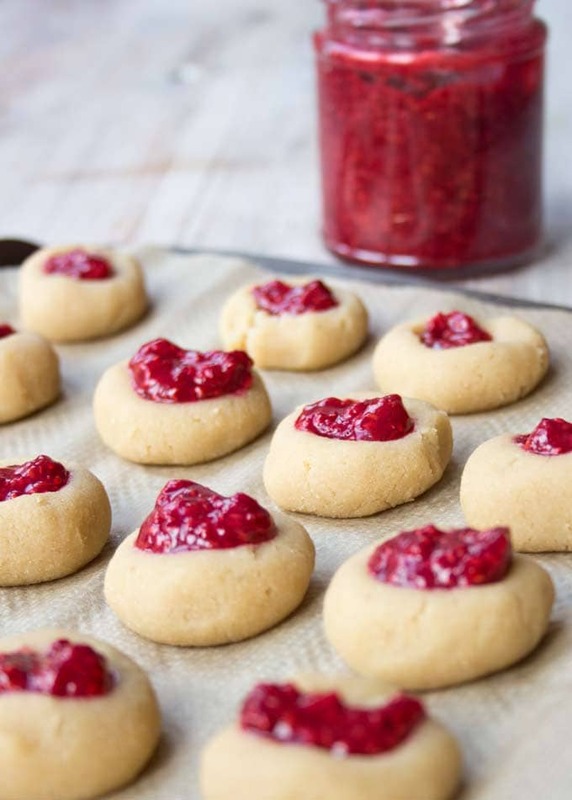 You can use any sugar free jam in this recipe. For a super-quick version, you could even simply mash a handful of fresh raspberries with a sprinkle of chia seeds or xanthan gum. I calculated the nutrition for 1 cookie. My batch made 20 in total. Depending on how big a treat you feel, I'd say 1-2 cookies should do the trick. I’ve made these several times and they are delicious. However, when I put my thumb the dough seems a bit sticky and not as firm. The hike pops back up. Any suggestions? Sounds like your dough is softer than mine. Maybe your butter is too liquid? You could try using room temperature butter. Or cool the dough in the fridge for a bit before making the cookies. I’m trying this recipe tomorrow for a friend who’s narcoleptic, I was just wondering how many grams are each cookie? I’m always using a scale when I bake cookies so they all turn out the same and cook evenly. Thank you!! Hi Laura, my cookies weighed around 15g each. What size egg did you use? Mine was 80gm probably too big, it didn’t come out doughy just battery lol. Hi Carolyn, I get my eggs from a farm, they are mixed. I just measured 2 – one was 61, another one 68 grams. So yes, a bit smaller than yours, but not too much. 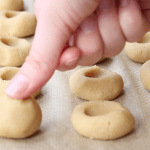 Dough consistency can also be affected by how fine your almond flour is or how long you leave the cookies in the oven. Were you able to roll your dough into balls like in the video? I made these last night and my husband and I devoured them! They were delicious! I am making them again right now as chocolate chip cookies! I only have confectioners swerve……… will that work? These cookies are lovely! Thanks for the recipe! Just one thing though …. I have made them twice and each time stored them in an airtight container but they have gone soft after a day or so. Can you advise how they are best stored to keep them fresher please? Glad you like them! I think the only way to return them to full crunch is to stick them back in the oven for a minute, or maybe under the grill. 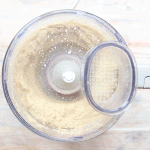 Almond flour goods do soften when stored. Absolutely. If your stevia is granulated, it’s probably mainly erythritol anyway 🙂 Often, manufacturers use a mix of erythritol and steviol glycosides, and then call it whatever they want. Just make sure your granulated stevia has the sweetness of 1:1 compared to sugar. I once had a stevia-based granulated sweetener that was twice as sweet as sugar. I do not have SF jam and i was wondering if i could use 1/4 of a piece of sugar free candy.. like the Russel Stover peanut butter cups? That sounds like a great idea. You can fill these cookies with anything you like. I made a cream cheese filling for them once, which was yum, and I also tried them without filling at all. That time I made them flatter so they came out quite crunchy. Both nice. You could even try a dollop of peanut butter in them, or dark chocolate. What temperature should I set my oven to so I may bake some of these cookies? I live in the USA and our ovens don’t go by Celsius over here we go by degrees like set oven to 350 degrees and bake cookies for 8-9 minuets until toothpick comes out clean when using one to test for doneness. Hi Nan, I always give the Fahrenheit option in my recipes – you must have missed it, it’s right at the top – Heat your oven to 180 Celsius / 356 Fahrenheit. The sweetener you used looks like light brown sugar. I’ve never seen light brown erythritol before. Is it different in England than in the States? Would it change the flavor if I used white erythritol? It’s the brown sugar alternative by Sukrin, called Sukrin Gold. You can order it on Amazon or over their website, in both the US and the UK. Using regular white erythritol would taste just as good though. The flavour of the cookies comes from the vanilla extract and the almonds. Mine are in the oven now, to take to an about to be told t2 diabetic, tonight. U fortunately the bottom element in my oven has blown for the third time since the oven was two… grilled cookies they’ll have to be! Grilled cookies, that has to be a first! 🙂 They should be fine though at the very bottom. Next time, if you have a microwave, you could also get them started in there and then transfer them for a bit of crunch? Can I use liquid stevia in this recipe? That should work, though you might have to add a couple of tbsp of almond flour to make up for the missing solids in the recipe. My liquid stevia has a sweetness ratio of 4 drops per tsp, but do check your bottle, they may not all be the same! Loving this recipe. The cookies are perfect, crumbly on the outside and soft on the inside. I didn’t have any jam so filled them with a sugar free chocolate ganache. Thank you for the inspiration. I’ll try your jam version next. What a great idea to fill them with chocolate! Sounds delicious. I was thinking about making cookies today and now I know exactly what I’m going to make. Can’t wait!!! Your recipes are always amazing – I’m looking forward to this one.